Communication about information security can be an issue many organizations face on a daily basis. Often times, there are many situations that stand in the way of the correct and important information going to the right places. This breakdown within companies can cause security glitches to occur that can be preventable. 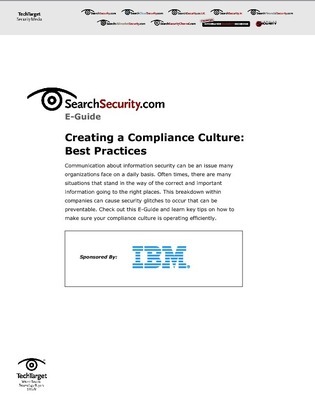 Check out this E-Guide and learn key tips on how to make sure your compliance culture is operating efficiently.